I’m way outta my comfort zone with this one! This is so not my style. However, when I spotted this stamp set in the new Stampin’Up! catalogue I fell in love with it instantly. The main stamp really lends itself to watercolouring so today, as I promised, I decided to get some ink on my new supplies. I’m especially enjoying the new taffetta ribbon. The once I’ve used here is pumpkin pie. 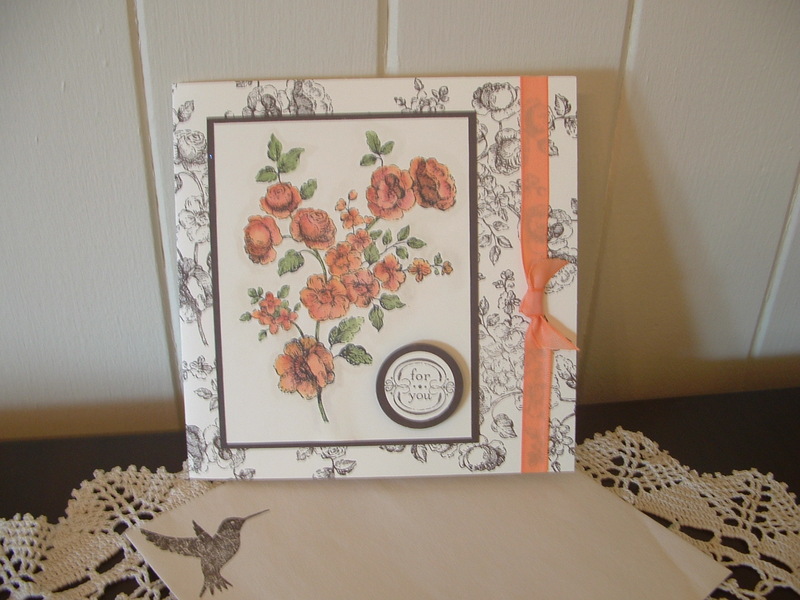 The taffeta realy compliments the ‘girlie’ look that this stamp has. This is the inside of the card. I really hope you enjoy my first attempt. Please leave me a message and let know what you think. 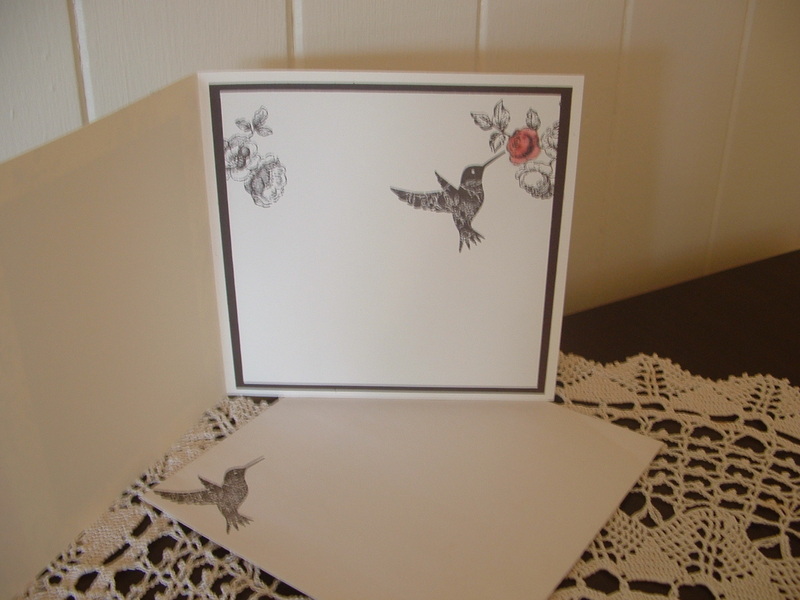 Love this card – the watercolouring is beautiful,and I particularly like how you have used the same image in B&W on the background card. Jacqui I love your card, you would not think it was your first attempt. Many thanks for all your support at Regionals I had a blast and am looking forward to Melbourne next May. this is stunning Jacqui!!! love it! I LOVE this stamp set – it’s on my list. I am dying to watercolour those flowers!